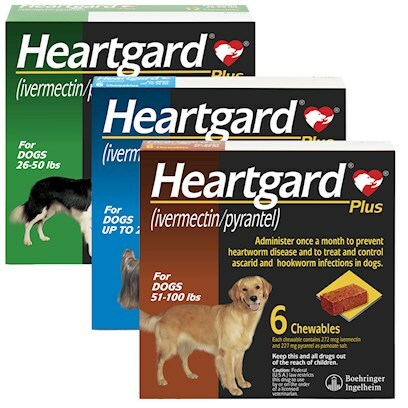 Heartgard Plus chewables are great. Pet takes with no problem! Heartguard is the only one I use!! I have been using this since my dog was a puppy and it is so easy to give to him. What I like about this product is that it is in chewable form and my dogs love it so it's never a problem to get them to take it. This product has great nutritional quality. This is a good for dogs to h!ave a preventive against heart worms. This product is easy to give to our dog. 8 Paws Up with HPChewables! Heartguard is a very effective product. Great product, dose, and value for my application. Etta eagerly chews up this "treat". Works for our dogs, but the best feature is the dogs seem to really like the chewables. Makes medication esy to administer. Great product, my dog loves the taste and has keep her Heartworm free! This product has great value to my precious dog and recommended by my vet giving me the assurance this is the right product for my dog.